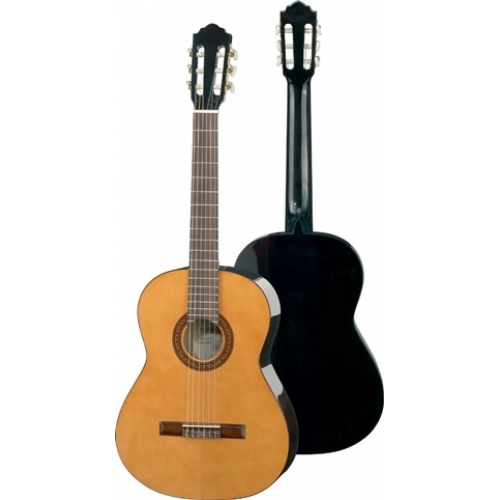 Classical guitar with laminated spruce top and back binding, high-gloss finish. Höfner neck profile and playability. A new standard for beginners! This pack comes complete with a foot stool, clip on electronic tuner and gig bag.